The Fayette County Association for the Blind is a private nonprofit organization- not a government agency. Your gift helps to fund our programs and allows us to continue providing our worthwhile services. Your gift will help empower people with vision loss, advocate for those with vision loss, and encourage the prevention of blindness. DID YOU KNOW: Our agency spends more than $75,000 annually to fund its Specialized Services and Prevention of Blindness services? We provide assistance to anyone in Fayette County with severe vision loss. We need at least an additional $ 55,000 annually to support our Specialized Services and Prevention of Blindness services and programs. The most common forms of planned giving are bequests. A planned gift offers you the satisfaction of supporting our efforts to assist the blind, while deferring your gift until a future date. You may receive certain tax benefits today for your future gift. See our Home page and click on the PayPal link to donate. Thank you! 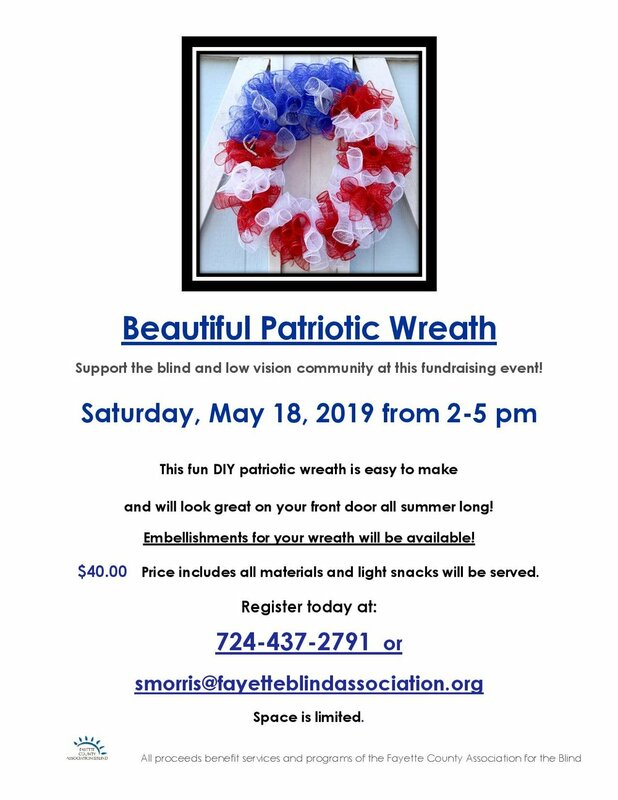 For more information, please contact the Fayette Blind Association at 724-437-2791.